We supply flow wrap packaging machines more than 10 years. One Year Warranty and long time sell-service .We have been specialized in designing and producing new packing machines, already obtained 20 Chinese patents. With professional international sales team, we are expecting to become your long-term partner in China. The TFD-320S automatic flow wrapper with 3 servo motors. The packing speed is up to 300 bags in one minute. Good quality and competitive price make our products are hot sell in our domestic and oversea markets. 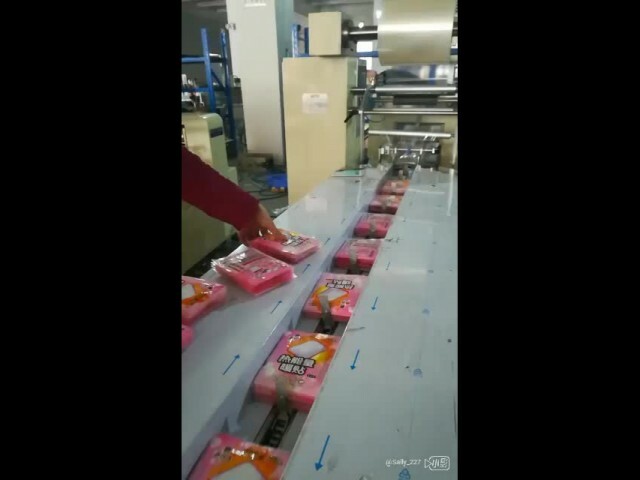 Automatic packing many kinds of products, such as biscuit,cake,moon cake, dry fruit, instant noodle,candy,medicine,daily products,hardware,toys,gifts and so on.